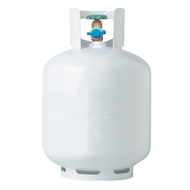 Gas Exchange Cylinders are the perfect solution for your barbecue, outdoor heating, caravan and portable camping needs. They are available in both 3.7kg and 8.5kg cylinders. Gas makes the swap over process quick and easy, simply take your empty gas cylinder to an outlet and swap it for a new or refurbished filled Gas cylinder.